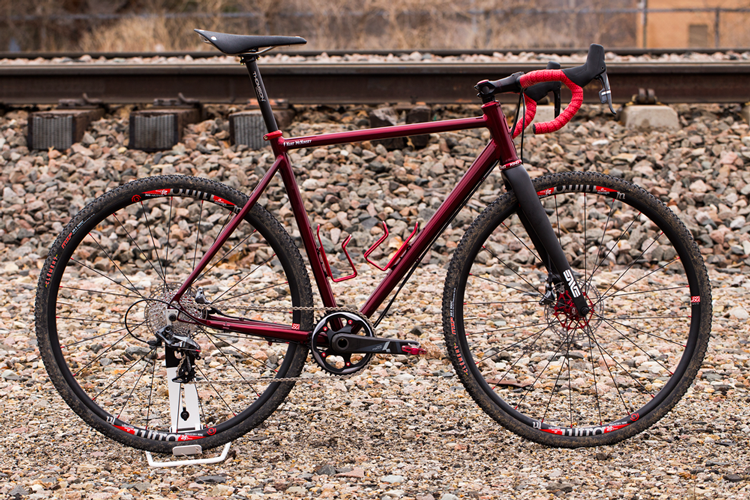 The decision to become a custom bike builder is definitely not an easy one. You have to be tough and unrelenting to make a name for yourself in the world dominated by corporate companies with armies of engineers and designers, and even larger teams of sales & marketing specialists. Yet there are those who succeed nonetheless and who are sought out by cycling enthusiasts from all around the world. We talked to three of them to explain why so many believe a custom-made bicycle will always beat one from the production line. So we asked three masterminds who managed to make a breakthrough in this competitive field, meet Doriano De Rosa, Richard Sachs, and Julie Ann Pedalino. The use of technology by international bike manufacturers involves an array of 3D design softwares, 3D printers, automated manufacturing systems, resistance tests, and countless additional steps before a product reaches the customer. In contrast, custom bike builders are working in a rather evolutive fashion, by gradually improving their products based on personalized talks with their customers, sheer experience, and an “organic” understanding of the materials they are working with. Doriano De Rosa: Technology is a great help in our job, but it cannot replace the experience acquired over the years. 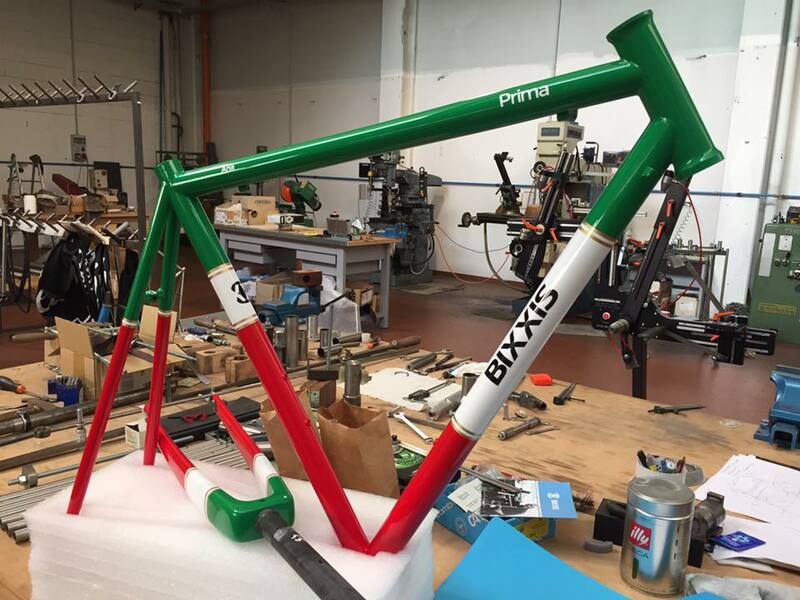 Personally, my training came from what happened in the 70s where professional frame-builders had only one material and one standard in terms of tube-sets. As such, our attention was mainly focused on the bike geometries and how to improve it. At the same time, we were learning a lot from the races. In fact, most of the things I learned about my job came from listening patiently to pros’ thoughts and the feelings they got experimenting with different fit solutions. Or, simply to our customers speaking about their experiences while riding the bikes I was building for them at De Rosa. You can’t have this kind of responses from any software and, today, the frame builders do projects and draw geometries using softwares. Surely [that is] very helpful but, at the same time, you need to know which data you have to digitalize to obtain a good drawing. Richard Sachs, we’d love to get a better understanding of what you mean and how does this transfers onto bike design? How does technology & experience best interact when designing a bike? Richard Sachs: This phrase, on my website and printed collateral since 1990, can mean different things on different days. It’s an emotion, and I cling to it tightly because I believe (from my observation) that people want a fast-track to an end. Be it speed, ease-of-assembly, even audience! Let me make two examples, both cycling related. On one hand, we have the consumer base. The average client wants as much as is available and will spend money for it. To be clear, whenever a new product is introduced, or a new way to do something, or a component that guarantees to cheat the wind, then folks are all over it and I think it’s silly. If one person, or a racing squad, or an elite assemblage of riders has the innovation, then yeah – it’s a positive thing. But when the trickle-down effect of more cogs, drifters rather than down tube levers, or wheels with a certain profile (Note: all of these are examples; there are many others I could select), when all of us have the new goods, the playing field is even once again. Yet sadly people seem to fetish over the “This year’s new gee-gaw” mentality, assuming it will make them a better rider, a more complete rider, a faster rider. On the other hand, I’m not advocating for an industry that doesn’t innovate (…) and replace the old with the new. I simply laugh at the way the markets work and empathize with both sides, ours as well as the client’s. Then there is the same drama at play in my trade (the hand-built industry). Without getting too historical too soon, I’ll toss up that the niche was on life support for most of the 1990s. I don’t know when or why it happened, but after the lot of us got online after Y2K, there seemed to be this new-found interest in making bicycle frames (from many newcomers with zero experience). The thing is, unlike the norm in the twentieth century, the current act appeared more like an “energy flow” than anything else. So now, especially in the Internet era, bicycle frame building trade has a “moment”. To the point, the average cat (person) now involved in the industry comes from a zero – almost no background of training (in frame building). What I mean here is real training, not a class, or watching another maker for a week and then forging ahead. So much so that there’s little critical thinking about the actual item (the bicycle) or its ultimate use on paved roads. Most [of the new bike makers] have near to no knowledge of the morphological needs a potential client enters the room with. The guy or girl making frames now appears to be in it, first and foremost, as an act of expression. Sadly, no one I know from the 21st century group has made a decent amount of units under the tutelage of a master craftsman, or has worked in industry learning the various skill sets. These folks just wanna enter the room, buy some materials from the many distributors, and create. These bike builders are assuming that the tools will do the work by themselves, and make little to no effort to learn how to use any of it. I wrote a text called, Repetition, Routine, and Relentlessness in 2012 in which I called all of this out. For the record, I cared more then; I care far less now. As amateurs, when buying a bike, we all put importance on what the bike will look like. Julie Pedalino, please share with us your vision of custom bike building. What is most important? Form vs. Function Vs. Fashion/Art? Let’s face it, your bikes look simply amazing with the details you put in! Julie Ann Pedalino: Ornament and embellishment play a large part in my design process to be sure, but the essence of every bicycle, no matter how beautiful, is that it is a tool to be used for transportation, exercise, adventures, and so on. So the adage “form follows function” holds true for me as frame builder – bikes are meant to be ridden, after all! All of my designs start with the intended purpose of the bike. 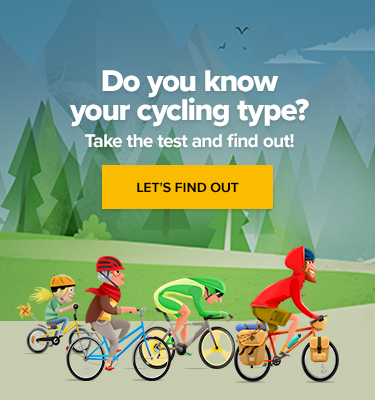 The very first question I ask my clients is about what type of riding they have in mind: would they like a road bike? Touring? MTB? Once we establish the type of riding the client intends to do, I’ll have an idea about where to start with the geometry of a frame. Combine this information with the physical measurements of the client’s body and assessment of their physical capability and I’ve got the framework I’ll need to complete a basic design. Once the basics are sorted out, the fashion and art come into play. I work intuitively and allow design ideas to develop in a rhizomatic manner – often starting with but not rooted to an initial design brief from the client. The hope is to end up with a finished piece that is not only quite functional (and fun to ride! ), but engages the client in much the same way that a marvellous painting can, with the power to touch something deep inside and become a source of inspiration. How do you perceive the big brands’ race toward Carbon fiber? Are they actually right in their choice of composites, or do you believe that the choice is solely defined by a cost – benefit analysis? Doriano De Rosa: I think carbon is the key to get mass production and big earnings. I can’t judge others who follows this direction. My choices are different. 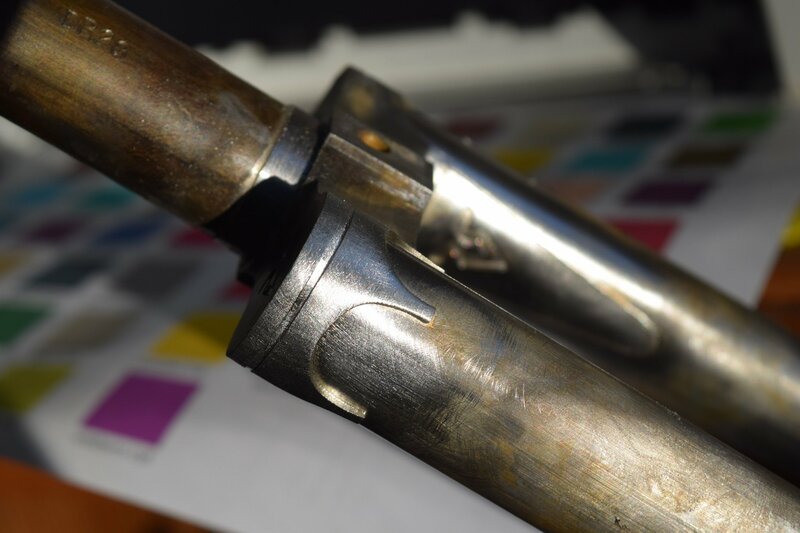 I think it is natural for me to use high mechanical property metals to create very durable products. My perception (regarding your question) is that big brands have to do, and want to do, as much as they can to eke out a profit. They are in a different conversation than the one I’m in. Larger companies – heck, all the production shops – these entities have to find the most efficient methods to make the most commercially palatable goods for the most people. Period. 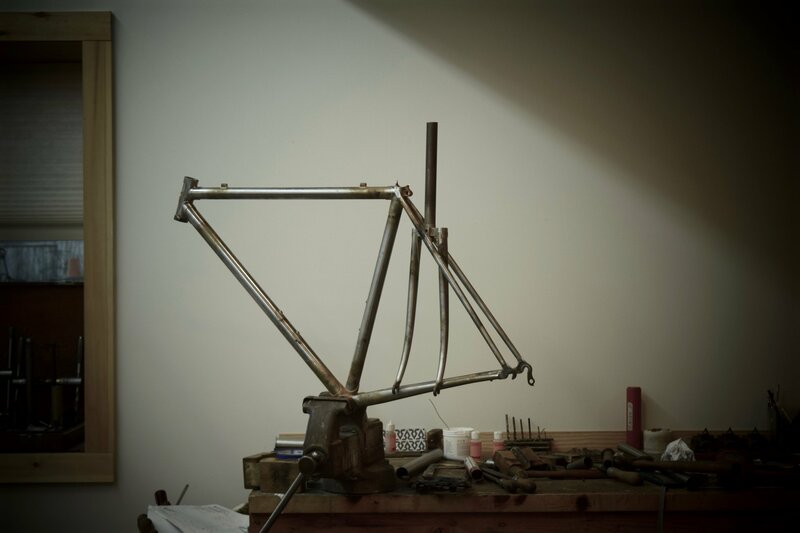 There was a time, and it wasn’t long ago, that all bicycles were made by hand. And in those work environments, the materials were of lower quality, the work force was more likely than not comprised of people who punched a clock and were happy just to have a job and a paycheck, and it was up to the ad department to find ways to make these units attractive, be it through graphic treatment, or nice paint colours, or by using good looking models in the catalogues. And that’s not a knock by me, it’s just how things worked. By the 1990s and with the MTB side of the trade already having a decade plus of influence, conventions began to change. The ubiquitous use of steel as the go-to material gave way to other choices, processes on the shop floor changed as TIG became an accepted joining technique, and little by little bicycles started to look different, and were made differently. The carbon fiber as a component is one small part of that long progression. To my mind, I still view all of this similarly. The larger brands have to find ways to “produce” finely designed bicycles for the masses, and make money doing it. By contrast, the average working frame builder relies on his own skill set, intuition, and commitment. We don’t have the same needs as Big Box Brand Inc. because we work “here” for us, for ourselves, not for them. Lastly, it’s not about material. It never has been. Stuff is stuff. Julie Ann Pedalino: I can’t pretend to be an expert on this topic – I have no experience with carbon fiber and because of that, my bias towards steel is necessarily skewed. Personally, steel is my material of choice for mostly practical reasons: it is relatively easy to machine, readily available, has an attractive sculptural quality to it, and has a wonderful buttery-smooth road feel. That said, I do question the fetishisation of weight-savings that dominates the marketing story around carbon fiber and high-end production bicycles. It’s not for me to say whether or not carbon fiber is superior to everything else, or if those marginal gains really help a rider to become faster/better/more skilled in a discernible way. Frankly, my opinion is that if a rider believes that shaving ounces off will help them, then they should go for it! But that sort of thing isn’t strictly necessary for all bikes and not every rider is looking to emulate a Grand Tour racer. Your thoughts on how to make your products more known/available without destroying the custom-made part? Where is the fine line between a boutique shop and a plain large-scale bike manufacturer? Is it the outsourcing part of that fine line not to cross? Doriano De Rosa: For us is very important to maintain the production in-house. It allows us to put attention to every detail in the production steps, where everything is specific and not standard. The use of outside contractors goes in the opposite direction. Our customers know our philosophy, and when they come in the Bixxis workshop, they learn totally the sartorial approach we use to build a bike only for them. The customer is the fulcrum of all choice we use to build his/her frame. Julie Ann Pedalino: This is an interesting question, and one that I find myself pondering more lately – especially as my business grows and my building process transforms. I started building the old school way with a hacksaw and files. This low-tech process rather quickly became impractical and unsustainable for the type of work that I am interested in creating. I’ve since been moving towards more automation with CNC machining and I’ve also taken an assistant to lend an extra hand when I need it. Which leads to the question: If I’m not labouring alone with hand tools, is it still a hand-made object? Is the value of a bicycle I produce in the process, the ideas, the finished product, or some combination of these things? Certainly at some point the workshop becomes a factory and the art object just another scrap of disposable bric-a-brac. I’m not sure exactly where the distinguishing line could be drawn here, I but I suspect that scaling, depersonalization, and a strong focus on the bottom line are major factors. What do the builders actually use to produce their custom built products? That’s what we’re going to find out in part 3 of this interview next week.